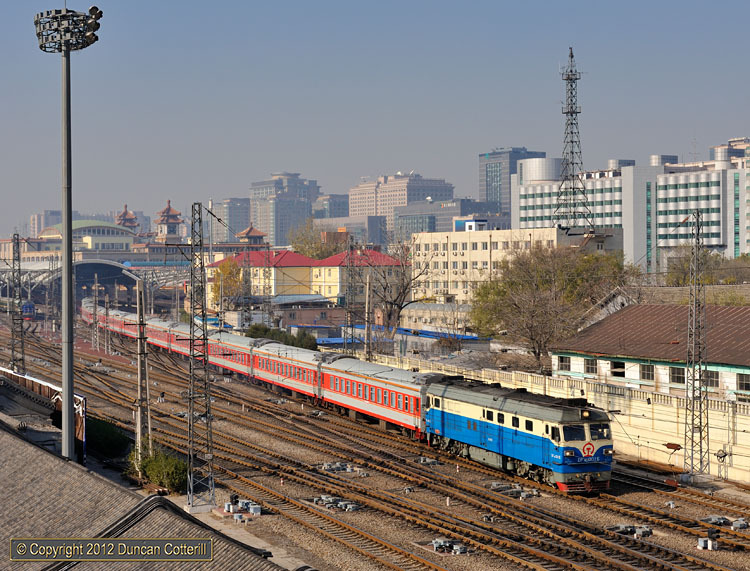 DF4C 0015 left Beijing with yet another ECS working on 24 November 2012. This loco was one of 40 built by Datong in the late 1990s numbered DF4 0001 to DF4 0040, duplicating the numbers of the original DF4s. Fortunately common sense has prevailed and a C suffix has been added to distinguish these engines from earlier DF4s.